Whisky moments are to be enjoyed, cherished and firmly grasped close to your beating heart. As enthusiasts, we all happen upon these perfect marriages of whisky, the environment and company or something tangible now and again. Our existence demands more of these intrusions where every element perfectly clicks together and a new bond or appreciation is formed. Here at MALT, we’re big fans of what’s happening at Ballindalloch. This family-owned distillery is doing whisky on its own terms and this goes so far as to the distinctive hands-on and interactive approach to a distillery tour. Everyone that I’ve recommended the tour over the years since visiting myself has come back buzzing about the whole experience. The majority of distillery tours are heavily scripted and controlled. Rigidly orchestrated to a timetable where no photographs are permitted and attendees feel an affinity with the liquid being flushed through the system. Tours should be and can be more than a source of revenue. A welcome to visitors far and wide, the chance to inform and educate not only about whisky generally, but why your distillery is unique. For Ballindalloch, they dared to be different from the outset. A hands-on approach to distilling; the only computer is in the manager’s office. Using the experience of the team to create a new make full of flavour and promise. Not taking the easy option of selling this precious spirit. Instead of filling 12 casks or so each week and then waiting. 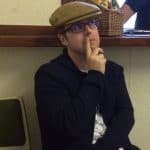 As I write this piece the distillery is due to celebrate its 4th anniversary and like Daftmill, they’re in the inevitable position of being able to wait. The only revenue coming into the distillery remains the bespoke tours and a small selection of merchandise. Patience is key and the rarest of industry commodities today. Whisky knows when its ready and the time will come eventually come to bottle. For Ballindalloch, the suggestion is around 8 years ideally and things so far are very promising. A wealthy family is a very fortunate benefactor to have and the estate owners, Claire and Oliver Russell, see Ballindalloch as a long-term commitment for their children. Ultimately this means the economic forces that ravage many new distilleries are kept at bay. Ballindalloch could bottle tomorrow or any day from now as their debut release. Fortunately, there’s no need to clog up local roads or camp overnight just yet; we’ll see what 2022 or thereabouts brings. 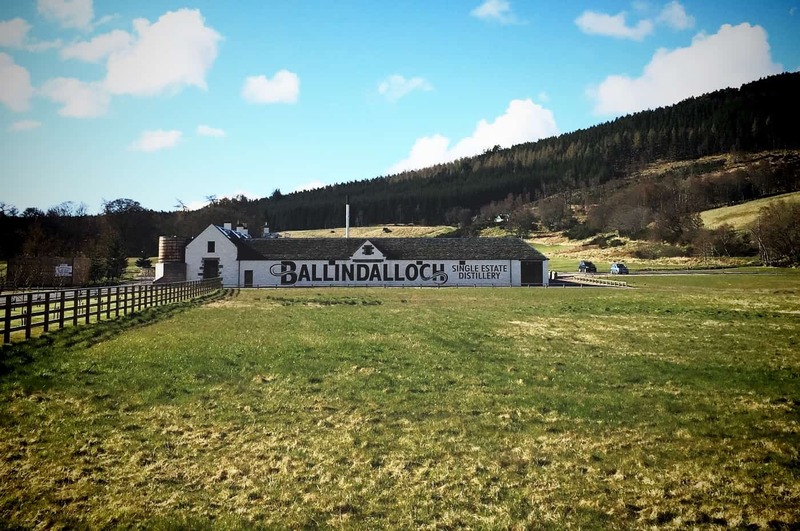 We were invited back to Ballindalloch to experience their Art of Whisky Making experience. Regrettably, Mark was somewhere in the Caribbean drinking sugar coated rum and unable to attend. This is a win-win situation dear reader and guaranteed a day devoid of soil or biodynamic chat. The cost of this experience is £175 for a full day lasting from 8 am to 4 pm including a very generous lunch. As the tour is limited to just 2 persons you really do feel part of the team and an integral part of the daily effort to keep the distillery moving forward. Needless to say, booking in advance is a must and recommended. It has become quite clear to us over the last year since unleashing the new version of the website and organising several whisky tastings that there is a growing appetite for all things whisky. Whether you’re new to the joys or an experienced enthusiast, there’s a sense that the general awareness and desire to learn more is growing. A knock-on effect is that the market is becoming more versed and seeking new experiences. I’ve done many things due to whisky and some that I regret, but then there are those memorable moments that always prompt a grin and fond recollection. Whether it is standing on the pier at Bunnahabhain taking in a dram, standing within the bothy at Brora drinking Brora or sitting around a campfire with friends chewing the fat and drinking whiskies. These and others are my inspiring moments and now I can add my day at Ballindalloch to the list. Starting bright and early, a warm welcome from Brian in cosy surroundings led into the heart of the distillery itself. Here Colin, Davie and Ian were already hard at work but eager to meet their new helpers for the day. Ahead of us was a busy day of firing up the stills and starting the new mash before preparing washback 4 for its next fermentation. All the valves in the world to be opened, turned and locked again awaited. The sound of a working distillery was memorable as everything sprang into life and you realised that in a candid fashion you were responsible partially for each stage of the process. Starting the mill for the next day’s mash underlined the efficiency and orchestration of making whisky. Except here the team rely on one another, their own ability to ensure an efficient process and a new make worthy of going into the casks at the end of the day. That’s a brief summary as we also had to stencil casks, fill and roll these handcrafted vessels into the warehouse before doing it all over again until the week’s output was achieved. Nothing, in reality, was off limits and at all times the Ballindalloch team wanted us to be engaged and encouraged questions of any nature. Throughout the course of the day – including the team tea/coffee break – you got to know the team and their own sizeable backgrounds in the whisky industry. Levels of experience and skillsets that could have unlocked doors in bigger distilleries. However here the team were enjoying making whisky with a hands-on approach and swapping responsibilities when it suited. Until Glenallachie changed ownership, Ballindalloch had the longest fermentation times in Scotland at 140 hours. This means flavour. Taking part in the mashing and the filling of washbacks you developed an appreciation of the flavour profile that everything was designed to achieve. The mashtun only turns once at the beginning and not constantly as seen elsewhere. That initial stir is all that’s required and ensures the wort is clear. The spirit still is left overnight with the spirit still inside to encourage reflux and this approach has a big impact on the characteristics. A can do and let’s give it a try approach means that Ballindalloch is always striving to enhance what its producing. I even managed to pick the only cask with a leak (actually 2 leaks) but then received a masterclass in fixing such a problem. Facts and figures whizz by as the team are well versed in all stages and I have a notepad full of information if required. However, the thing that struck me most about meeting and working alongside the team is the passion and pride they display. Talking to them personally about their experiences, favourite distilleries and whiskies just took the day to another level. You can approach your day with the team on a variety of levels. Your first steps to pursuing a new career, a fun day out, a more science-based approach or a whisky enthusiast purely wanting to appreciate the work that goes into each and every drop. In summary, this was a memorable day on so many levels. A wonderful experience and a marvellous opportunity at Ballindalloch to engage with whisky. If I knew what I did now, 20 or so years ago, then a new career may beckon. A new found respect for those working in the industry and their pride and passion for whisky. All of this underlines that every little detail counts; shortcuts and rushing part of the process – including fermentation, mashing, distilling etc – means shortcomings in the final product. When Ballindalloch debuts it’ll be worth the wait. My thanks to everyone at Ballindalloch for the invitation and opportunity. Making me feel very welcome and creating a wonderful whisky moment. There’s a new photograph of me on the About page filling a Ballindalloch cask grinning like a Cheshire cat. That should tell you everything.